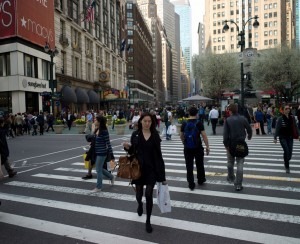 As we spend the week exploring New York's getaway options the aren't in the overhyped Hamptons, it got us to thinking about movies, too. 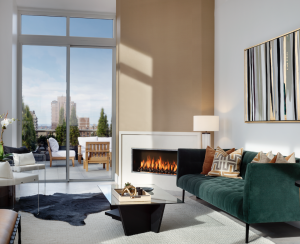 Yes, there are plenty of films set in the tony beach towns of Long Island—and no, we'll never get over Diane Keaton's Hamptons spread in Something's Gotta Give—but there are some gems set in the Northeast's lesser-known vacation town, too. Though the movie was mostly shot around Virginia and North Carolina, Dirty Dancing is still the quintessential film depiction of summer in the Catskills, and more particularly, the primarily Jewish family resorts that were popular in the 1950s and 1960s. 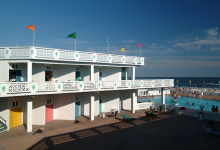 The coming of age story is entirely set at "Kellerman's," a fictional resort full of summer bungalows, like the one pictured above. Sadly, Grandview Palace, the real-life resort that partially inspired the story, was devastated by a fire in 2012 and has been closed ever since. 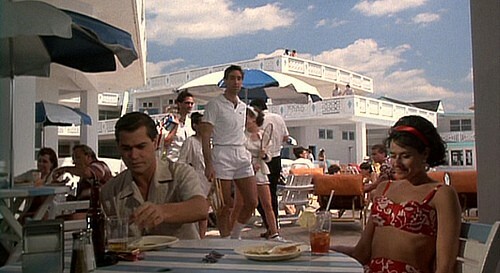 While most of Martin Scorcese's classic gangster saga is set around New York City proper, the main characters do get one nice vacation in before things start to go south; early on in their courtship (and after pulling off a big heist), Henry (Ray Liotta) takes Karen (Lorraine Bracco) for getaway at Catalina Beach Club, a real-life club that's been operating in Atlantic Beach since 1944. If you'd like to emulate their vacation, minus the criminal element, there are still numerous beach clubs up and running along that stretch of Long Island. Here's one for the kids, kind of: the ill-fated Camp Crystal Lake in the original Friday the 13th movies was, in fact, filmed at a real-life Boy Scout camp, Camp No-Be-Bo-Sco in Blairstown, New Jersey. 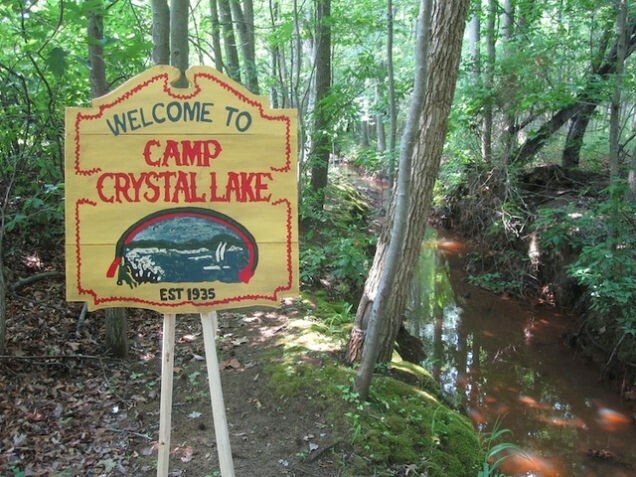 While we'd probably be nervous to head to camp at the same locale as Jason Voorhees, but plenty of scouts still spend their summers there, and the camp has even embraced its eerie legacy, offering occasional tours tied to the movie. Unsurprisingly, a lot of the action in Mystic Pizza takes place in the town's eponymous pizza parlor. But there are some interesting houses in the film, too, most notably the mansion where Daisy's (Julia Roberts) rich boyfriend Charles and his family are vacationing in the small fishing town. (It can be seen in the tense family-dinner clip above.) In real life, the town is a popular family getaway spot thanks to attractions like its Mystic Seaport museum, and, yes, the real-life pizza parlor. But many of the houses were real, too, including Charles' house, which still looks much the same as it did in the movie—check out recent photos over at Locations Hub. Like Dirty Dancing before it, A Walk on the Moon is all about a sexual awakening that takes place at a camp for Jewish families, though this one is supposed be near Woodstock, New York. (The movie takes place in the summer of '69, so it's an ideal place to be.) In reality, the movie was filmed pretty much entirely in Quebec, but check out the scenes in the trailer, above—the set designers got the style of the bungalows and the retro '60s decor spot-on. 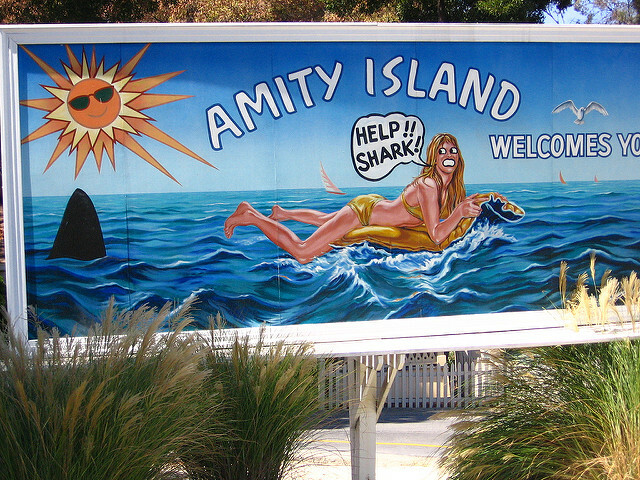 While it might not exactly inspire you to hop on into the water, the fictional vacation town of Amity Island—which was filmed almost entirely on Martha's Vineyard—still looks like a fairly idyllic summer setup. The movie doesn't show much in the way of real estate, but it showcases plenty of locales around the real-life island (Curbed has a handy map of them here), and doesn't seemed to have dampened Martha's Vineyard's popularity as a secluded getaway for everyone from Lady Gaga to the Obamas.